Fat LossNutrex Lipo-6 Black Hers - 120 kaps. A good and effective fat burner at a very economical price. Its composition makes it in a short time we get fast and lasting effects. The legendary fat burner is back! Even better composition and the rapid loss of excessive body fat! High-quality active substances, which, despite the enormous effectiveness does not cause the yo-yo effect and are completely safe! Nutrex Lipo-6 Black Hers - 120 kaps. Here Lipo-6 Black Hers. It is the strongest and most extreme reducing dietary fat. It contains the highly active mixture of fat burning ingredients. 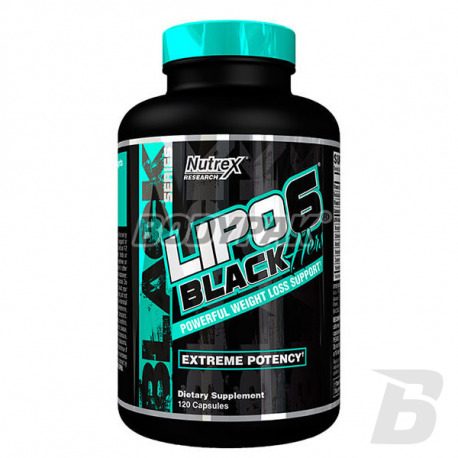 Nutrex Lipo-6 Black Hers UC - 60 kaps. There are many products for women causing fat loss that are advertised as esktremalne. Nutrex takes fat burning to the next level, much higher than the possibility of so-called "extreme" products - beyond extreme, beyond maximum strength, way beyond any other fat burners, they tried in the past. Here Lipo-6 Black Hers. It is the strongest and most extreme reducing dietary fat. It contains the highly active mixture of fat burning ingredients. Do not think that has been specially mitigated, just because it is for women. Lipo-6 Black Hers is designed to ruthlessly attack fat and burn it immediately. If your fat reduction reached stagnation and looking for something that will allow you to run for re-burning, you're a perfect candidate for Lipo-6 Black Hers. 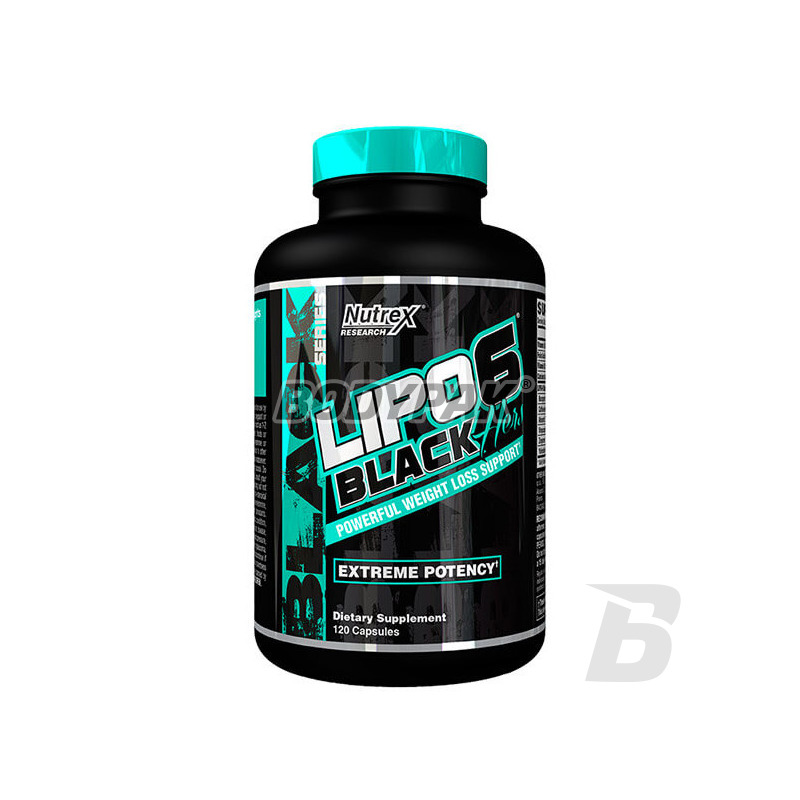 If you are looking for a fat burner that will work as hard as you do, Lipo-6 Black Hers is what you are looking for. 1-2 caps. In the morning on an empty stomach, 1-2 caps. 20 minutes before training. 1-2 caps. In the morning on an empty stomach, 1-2 caps. In the afternoon. Składniki: kawa arabska (owoc); kakaowiec właściwy (nasiona); gorzka pomarańcza (owoc); Coleus Forskohlii (pokrzywa indyjska) (zawiera Forskoliny); czarny pieprz (owoc) (zawiera Bioperynę®); kwas foliowy (Foliany); jod (jodek potasu); chrom (pikolinian chromu); witamina D (cholekalcyferol); witamina B12 (cyjanokobalamina); trójglicerydy o średniej długości łańcucha, celuloza warzywna, dwutlenek tytanu, celuloza słonecznikowa, skoncentrowane tokoferole Mix- niskiego typu alfa, barwniki (E129*, E133, E110*). *E129, E110 - mogą mieć szkodliwy wpływ na aktywność i skupienie uwagi u dzieci. Bioperyna® jest zarejestrowanym znakiem towarowym Sabinsa Corp.
niesamowity spalacz, działa rewelacyjnie mogę wszystkim polecić! Rewelacyjny spalacz! Pan polecił mi go w sklepie kiedy powiedziałam mu, że mam problemy z oponką i ogólnie z nadmiernym tłuszczem. Oczywiście diety cały czas sie trzymam i regularnie trenuje, ale to ile dobrego ten spalacz wniósł do mojego odchudzania to jest nie do opisania :) rewelacja !!! Trec Fat Transporter - 90 tabl. L-carnitine in sensational form shotu, even better digestibility thanks to a liquid form. Helps in weight loss, enhances the transport of fatty acids to the energy centers of cells (mitochondria), where it comes to their oxidation. It improves the functional capacity of the body! Each serving is up to 3000mg L-carnitine! Trec CLA+Green Tea - 90 kaps. The original dietary supplement, the use of which helps in weight loss and has a positive effect on the condition of your skin. The addition of natural green tea extract increases the additional health-promoting properties of the formulation! High quality L-Carnitine in capsule form. Supports the rapid loss of body fat - does not at this yo-yo effect! Bet on proven solutions! Wysokiej jakości N-acetylo-L-cysteina w formie łatwych do połknięcia kapsułek! Wpływa pozytywnie na funkcjonowanie całego organizmu. Olbrzymia koncentracja czystej substancji aktywnej (NAC), bez zbędnych dodatków w każdej porcji. Wybierz to co najlepsze! Highly absorbable form of l-carnitine in a solid dose. It affects the acceleration of the process of fat burning without causing the yo-yo effect! Hygienic supplementation, 1 shot a 1 serving of ready-to-eat product.